If one can characterize Stanley Kubrick by his complete control over the medium and his dogged insistence on staying within 30 miles of his house when shooting a movie, even if it means dressing up a London factory to look like Hue, Vietnam as he did for Full Metal Jacket, then Werner Herzog can be characterized as his opposite. Herzog’s movies are strange, messy and ecstatic, a far cry from the chilly aloofness of Kubrick. 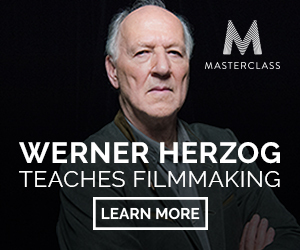 In both his feature films and his documentaries, Herzog uses his camera to uncover new layers of nature, experience and the human psyche. And there have been few filmmakers more willing to shoot films in rugged, exotic places as Herzog - from Antarctica to the Amazonian rainforest. In fact, a number of his most notorious shoots seem more designed to test the endurance of the cast and crew than to produce a movie. His film Fitzcarraldo, for example, is about a guy who has the visionary idea to haul a riverboat over a mountain in the Amazon rainforest. Herzog decided, for the purposes of realism, that he would actually drag a riverboat over a mountain. The production, which is in the running for the most miserable film shoot ever, is the subject of the absolutely riveting documentary The Burden of Dreams. At point one in the doc, Herzog quips, “I shouldn't make movies anymore. I should go to a lunatic asylum.” And by the end of the movie, you think that he’s probably right. Of course, that crazed bravura has always been at the center of Herzog’s mystique. After all, this is the guy who actually ate a shoe after losing a bet with documentary filmmaker Errol Morris (find 30 of his films online). In 2009, when Herzog released Bad Lieutenant: Port of Call New Orleans, he was asked by the folks over at Rotten Tomatoes to list his top 5 movies. This is a director who once said, “I believe the common denominator of the Universe is not harmony, but chaos, hostility and murder.” So it’s a pretty safe bet that The Lion King didn’t make the cut. The list starts with Nosferatu from 1922 (up top). Herzog liked this movie so much that he shot his own version in 1979. In my opinion, the greatest of great films is Nosferatu by [F.W.] Murnau, which I should include in the greatest five films of all time. D.W. Griffith's epic was his response to the public outcry following his epically racist Birth of a Nation. The movie also happened to revolutionize filmmaking. Everything that [D.W.] Griffith made: Broken Blossoms, Intolerance, Birth of a Nation, you just name it. Everything. He's the Shakespeare of cinema. Period. Watch his films and you'll know instantly. I understand Herzog’s fascination with Freaks, I’ve watched it too and it is a unique film. Yeah, but be fair – he boiled it first. That was one tough shoe. Freaks was also a favorite of Frank Zappa and was a major inspiration for his philosophy. How predictable . They should get a top films pick from Vincent Gallo. I am sure his list would be very very very original. Herzog’s ‘Little Dieter Needs to Fly’ is the best! Grizzly Man and Into the Abyss. Thank you for sharing Werner’s favorite five. and that the link to Rashomon links to a page where the only option to see the movie freely is restricted to US viewers. cobra verde – haunting when he uncovers a hole in the ground and peers down inside to see if filled with women. Later in the film the song and dance of three young girls has a profoundly stirring affect; at that moment my heart was so full. happy people – the scene when theyre in the canoe moving over the rough waters, the river with its tremendous current carries them forward. Also something that stuck with me, his relationship with his dogs; in particular when he makes the long snowmobile trip back home, hundreds of miles, the dog somehow follows him all the way, remarkable. remarkable. on netflix, Into the Inferno is a love song of sorts, a poetic ode to volcanoes. The scenes from north korea are remarkable, fascinating, powerful images unlike anything ive seen and far from what I could have imagined. Later I jumped out of my seat, laughing like a madman shouting “Yes! HaHa Yes!” applauding when out of the blue he starts reciting verse from the Poetic Edda.I mean that’s just awesome. I caught Cobra Verde,Aguirre and Even Dwarfs Started Small on Pluto TV 0nline[it is free] in the last month.Love Aguirre,first saw it years ago and became obsessed with looking for it on reg.tv,i finally went on E bay about ten years ago and found it.